Is Your Business As Secure As It Should Be? Operating a business poses some interesting security risks that the typical home doesn’t face. For example, how do you keep your doors secure when you want to invite customers in? Here at Pro-Lock & Safe, we are the lock and key experts. We can help you set up master key systems, install keyless entry locks, set up CCTV systems, and even repair or install panic bars and commercial-grade doors. Whatever it takes to help secure your business without inhibiting access, we are here to help! Connect with the Pro-Lock & Safe team today to make sure your business is as secure as can be. 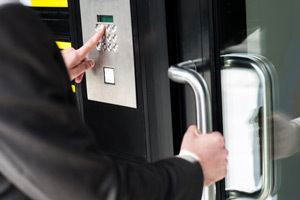 Providing the appropriate access control through measures like keyless entry locks, master key systems, and so on. Keeping up with public safety code through panic bar, door closer, and commercial door installation and repairs. Giving you better views and control over who comes and goes with CCTV and customized access control systems. Providing 24-hour emergency locksmith services for lockouts, broken locks, and other lock and key concerns. At Pro-Lock & Safe, we understand that any access problem is a big problem. But being a commercial business, your needs are even more critical. With a vast amount of services offered, you can trust that, when it comes to commercial locksmith services, we have you covered. 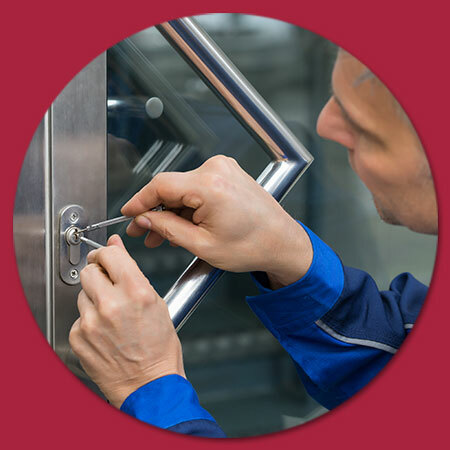 Tailoring our services to meet your needs, our goal through providing superior locksmith assistance is to enhance your company’s security and safety. Helping you with anything from used safes to master key systems and digital security, we go the extra mile to ensure we have done everything possible to fulfill your needs. By working with recognized professionals, you get expertise, combined with passion and skill, offering you the best that the industry has to offer. Commercial locksmith services are our specialty, and businesses like yours are what keep us going. We are dedicated to excellence and believe in proving why you can trust our expertise. Using industry-leading techniques and innovate technology, our security solutions are designed to meet the demands of your commercial space, regardless of its size. No matter when or where you need Pro-Lock & Safe, you can trust that you are in good hands working with us. We are committed to helping you with effective and affordable solutions for all of your commercial locksmith needs. Contact us today with any questions about what we can do or ask to speak with one of our commercial technicians who will not only provide solutions but educate you on how to be more secure. Prefer to speak on the phone? Click here to call us now!